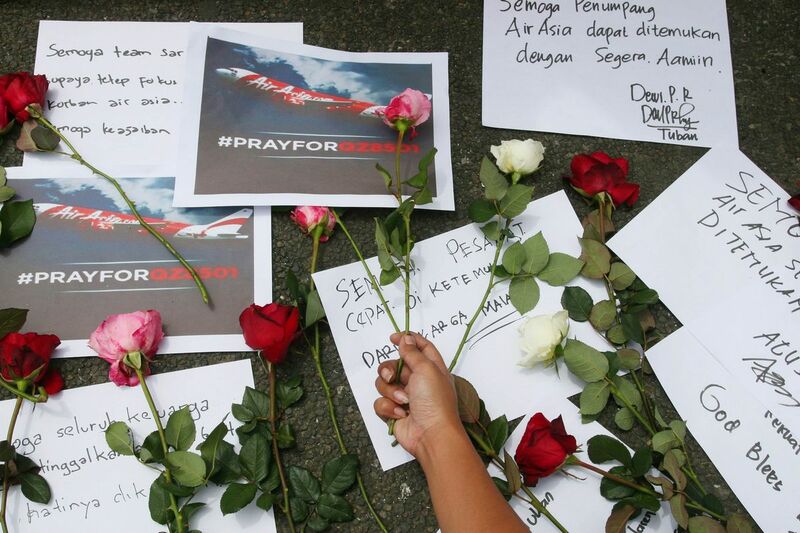 SINGAPORE - Defence minister Ng Eng Hen sent a note this morning to Indonesia's defence minister, offering more Republic of Singapore Navy (RSN) assets to help in the underwater search of the AirAsia flight. 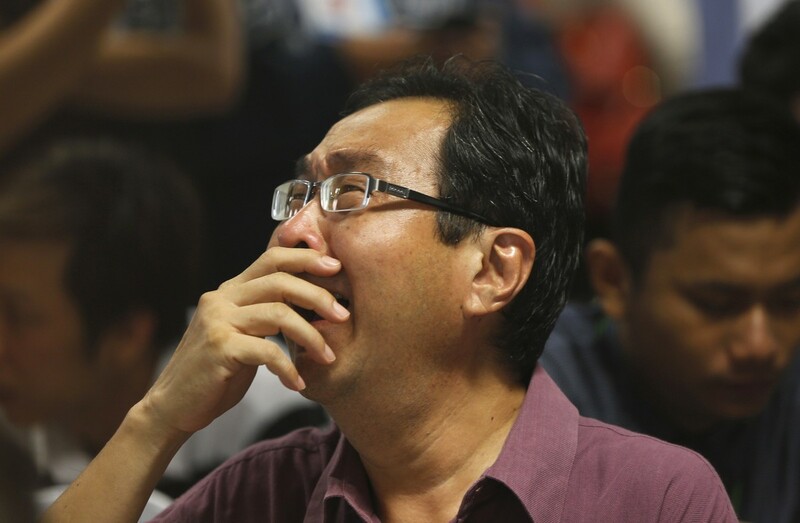 In a letter to Ryamizard Ryacudu which was posted on Dr Ng's Facebook page, the minister stated that two additional RSN assets have been offered. 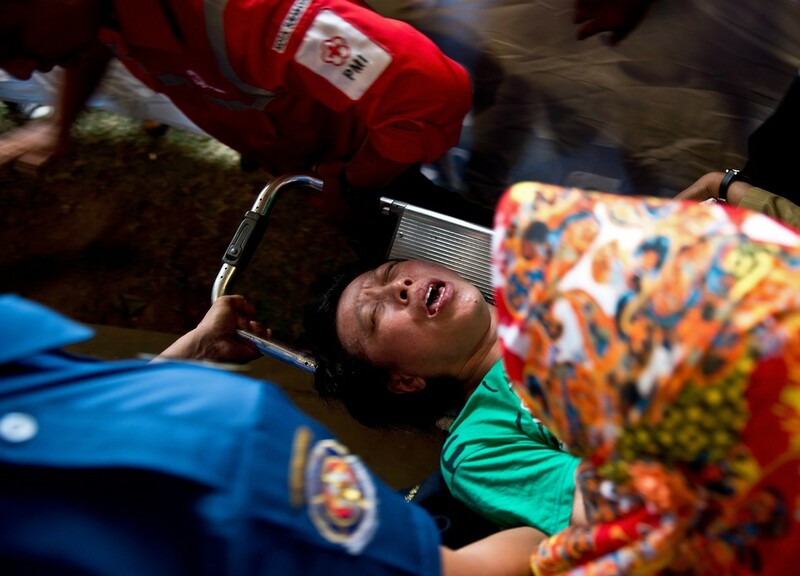 The first is the Mine Counter-Measure Vessel, which has underwater sonar and a remotely operated vehicle. 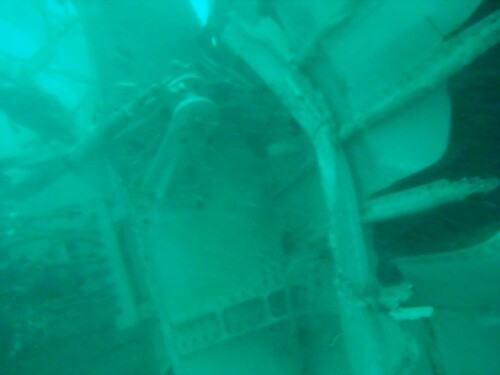 The second is the REMUS, which is an autonomous underwater vehicle. 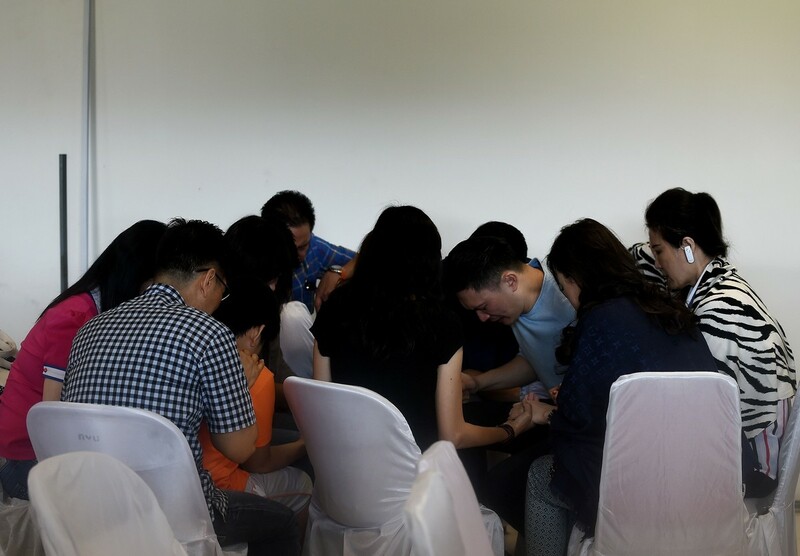 "These two assets will prove useful as the focus of efforts shifts underwater, and they will replace the Corvette that is now in theatre," wrote Dr Ng. 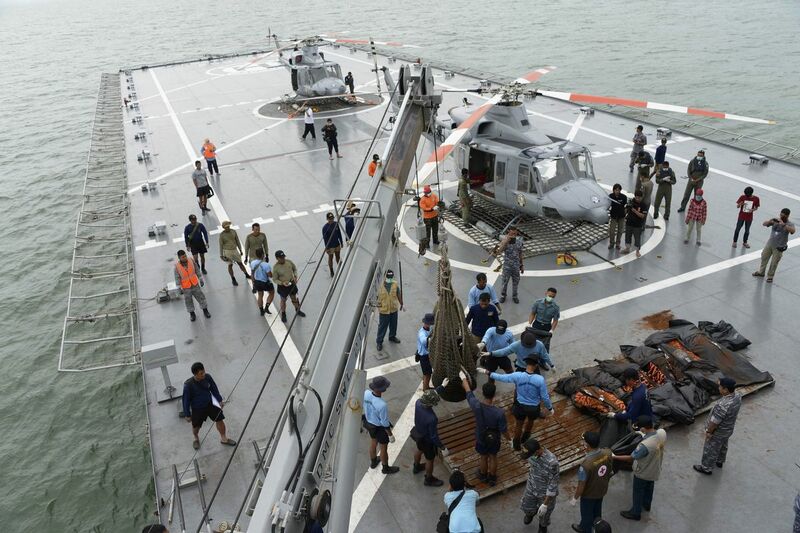 The Missile corvette (RSS Valour) was deployed on Sunday night to assist in the search and rescue of Flight QZ8501 which crashed in the Java Sea. 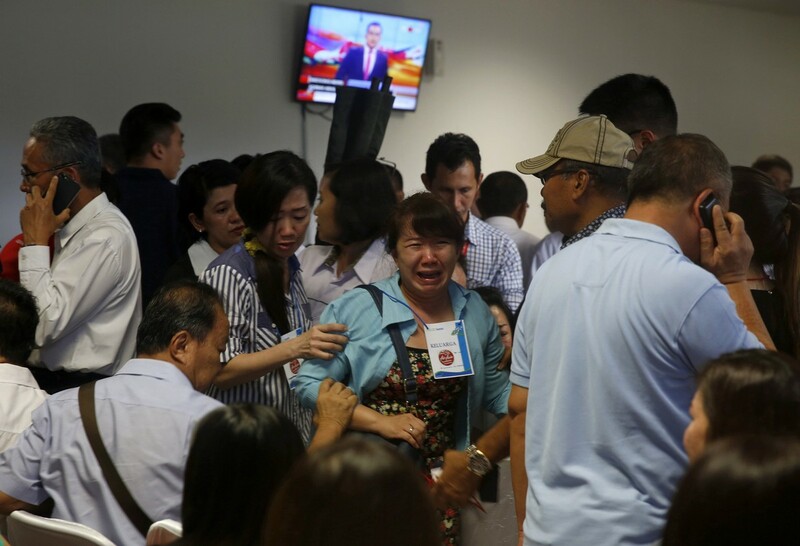 Wall Street Journal reported today that Indonesia's search-and-rescue agency as obtained a sonar image it says may be the body of the missing AirAsia jet on the seabed. 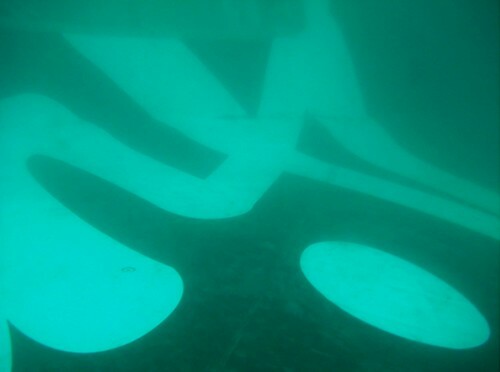 The image appeared to show the airplane upside down in 24-30 meters of water. 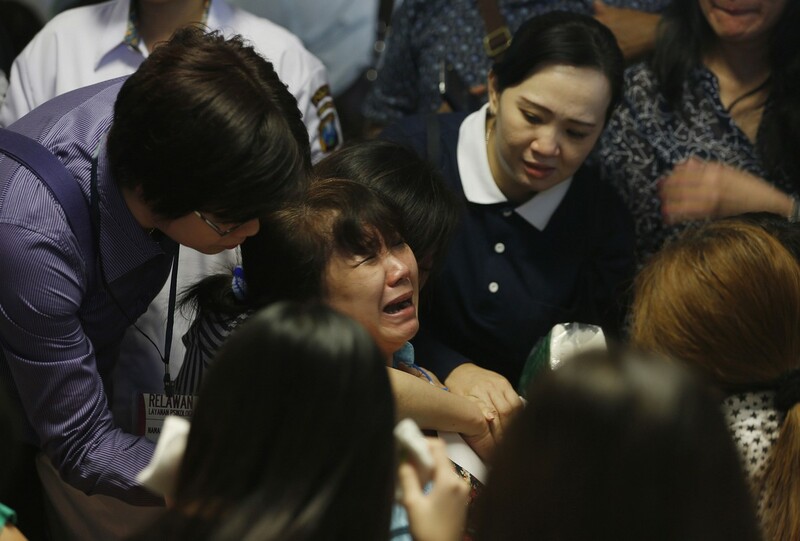 Flight QZ8501, carrying 162 people, vanished on Sunday about 40 minutes into its flight from the Indonesian city of Surabaya to Singapore. 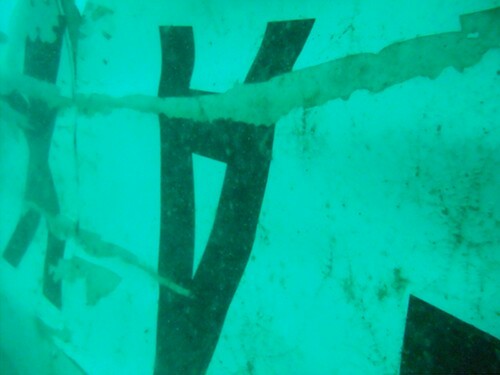 What is beleived to be wreckage from crashed AirAsia flight QZ8501 in the Java Sea is pictured in this underwater photograph. 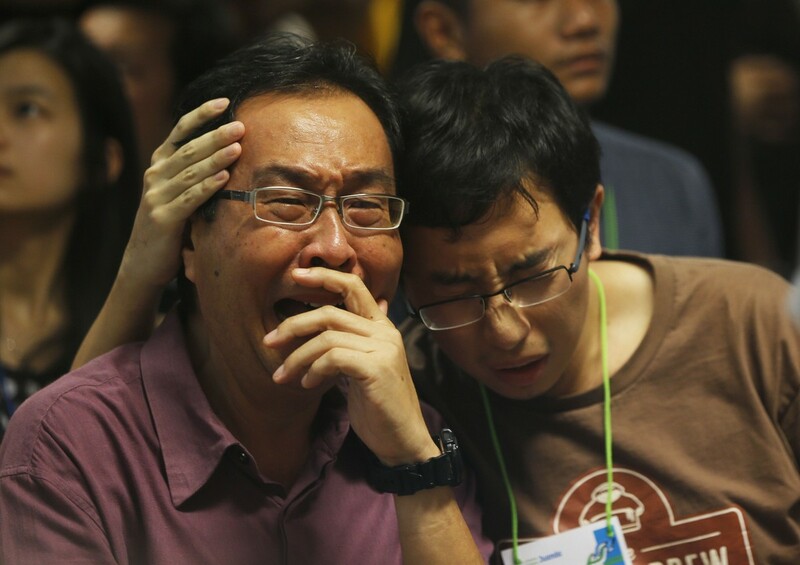 The tail of a crashed AirAsia jet has been found, Indonesia's search and rescue agency said on Wednesday. 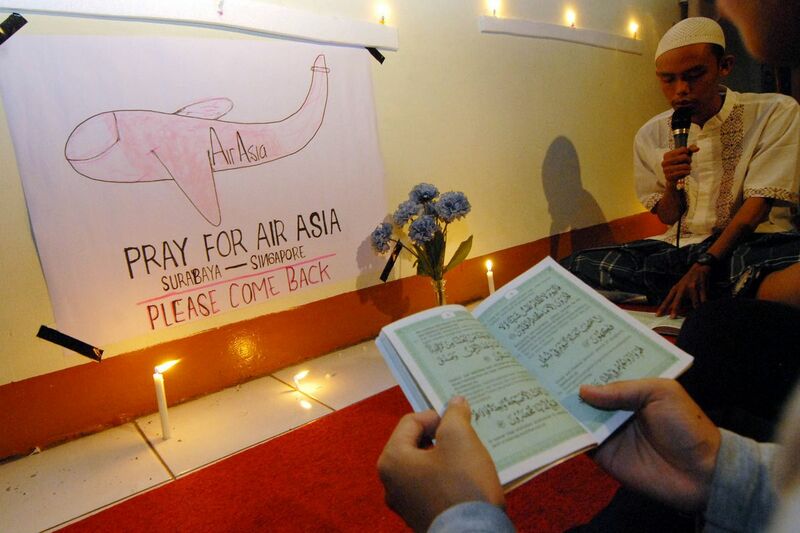 It was found on the sea bed about 30 km (20 miles) from the plane's last known location. 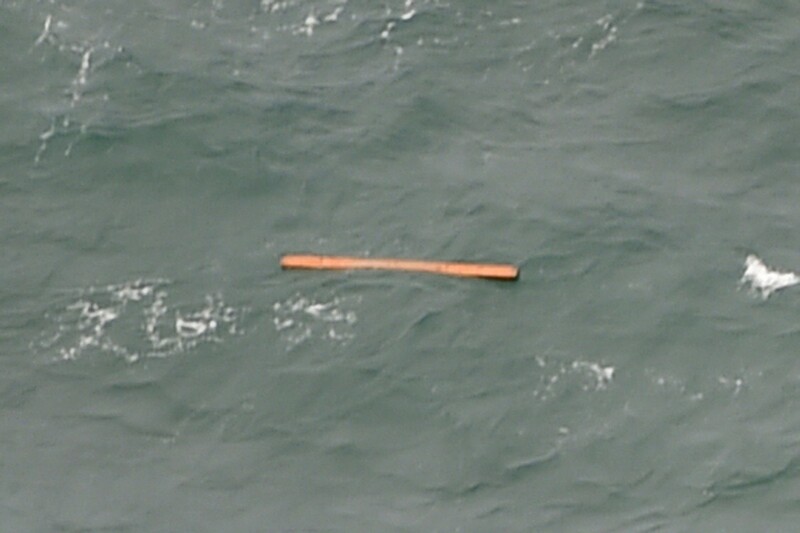 The discovery on the seabed could mark a breakthrough in the search as the tail of a plane usually houses the "black box" flight data recorders. 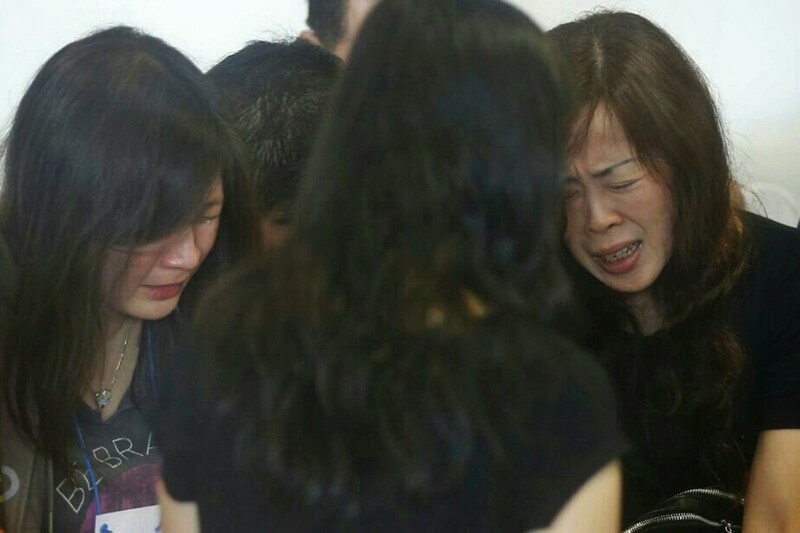 Flight QZ8501 vanished from radar screens over the northern Java Sea on Dec 28. 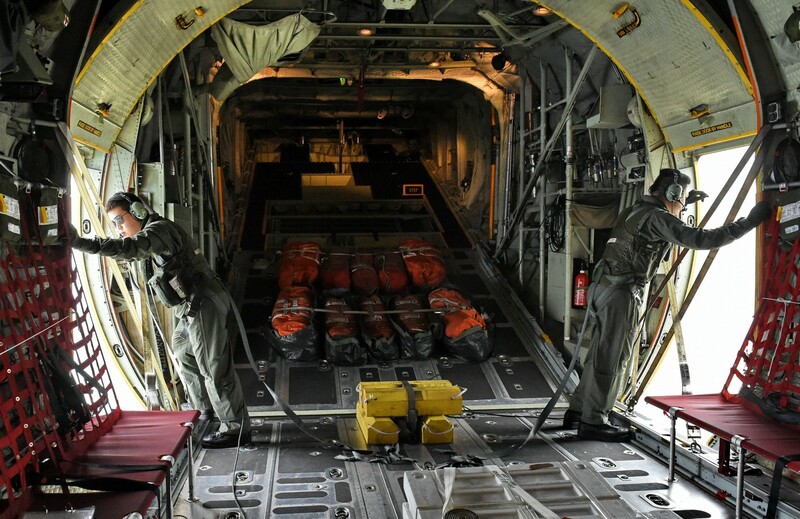 Despite a huge recovery operation assisted by various countries, progress has been patchy with poor weather conditions hampering the search. 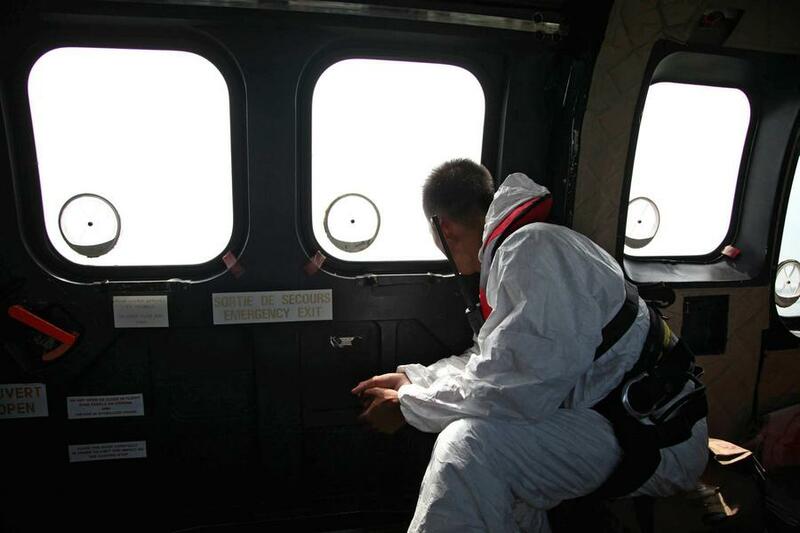 A member of an Indonesian search and rescue team scans the sea for debris from AirAsia flight QZ8501. 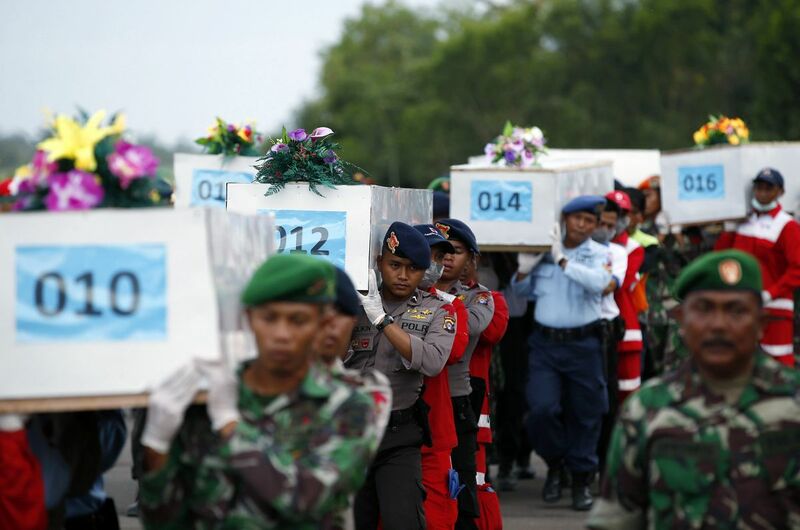 Personal effects from passengers recovered from search operations in the Java Sea of AirAsia flight QZ8501 are displayed upon arrival at Juanda military airport in Surabaya on January 7, 2015. 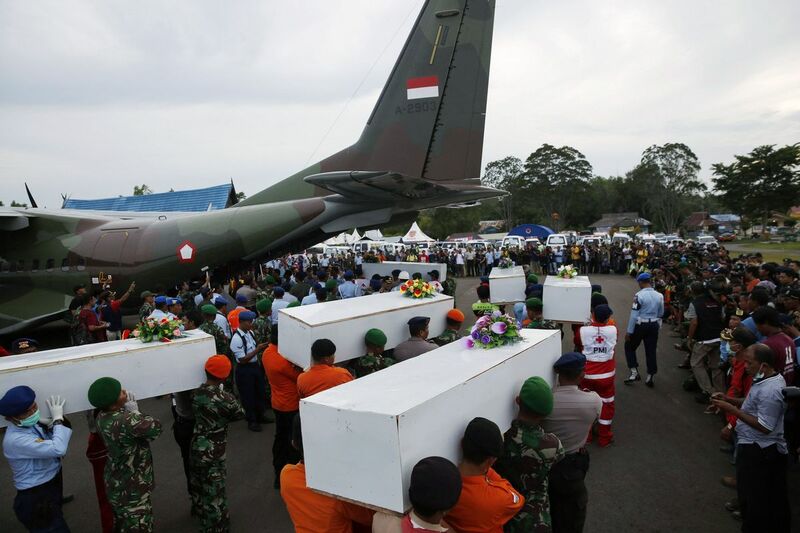 Indonesian military personnel carry coffins of victims recovered from the ill-fated Malaysian air carrier AirAsia flight QZ8501, upon their arrival at the military airbase in Surabaya, East Java on December 31, 2014. 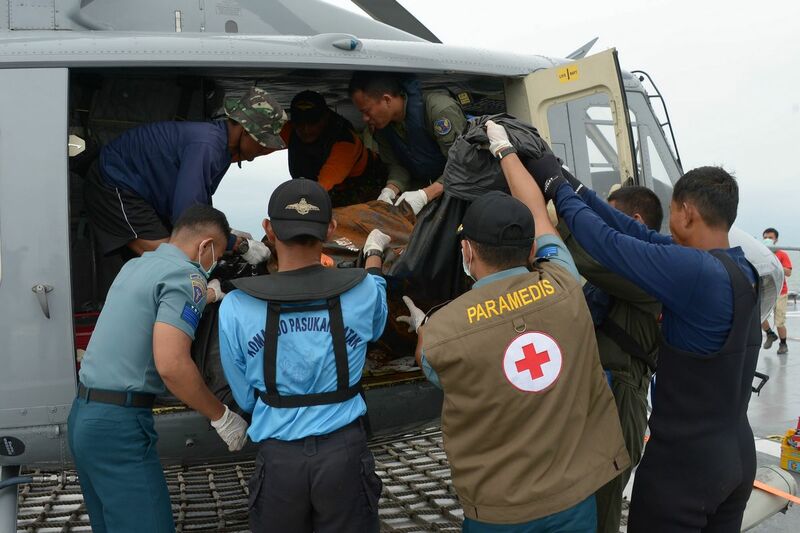 Indonesian Search and Rescue crews unload one of two bodies of AirAsia passengers recovered from sea at the airport in Pangkalan Bun, central Kalimantan. 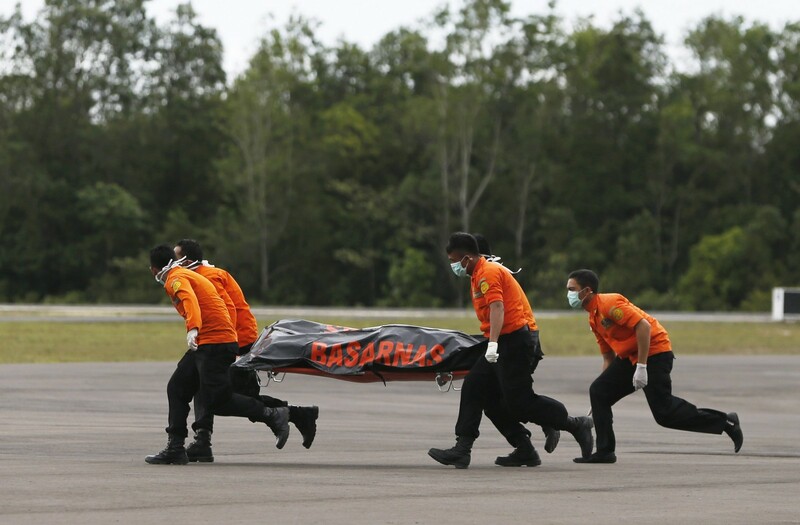 Search and rescue team members run as they carry the dead body of a passenger onboard AirAsia flight QZ8501 at Iskandar airbase in Pangkalan Bun, Indonesia, December 31, 2014. 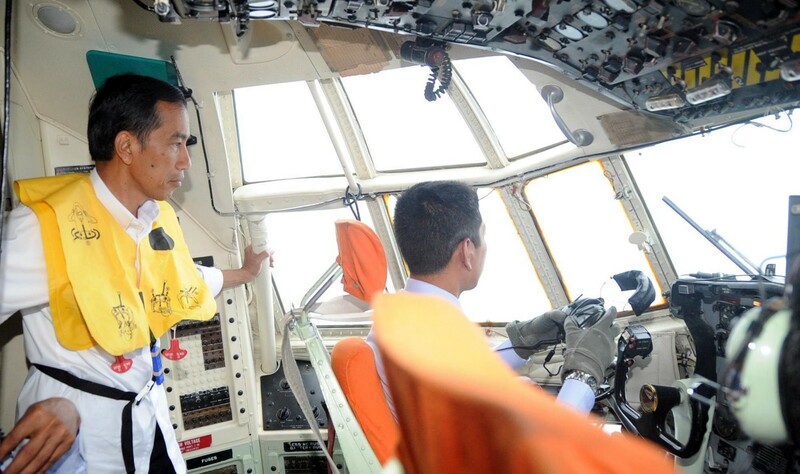 Indonesian President Joko Widodo (L) standing in the cockpit of an Air force aircraft Hercules C-130 during the search and locate (SAL) operation for missing AirAsia flight QZ8501. 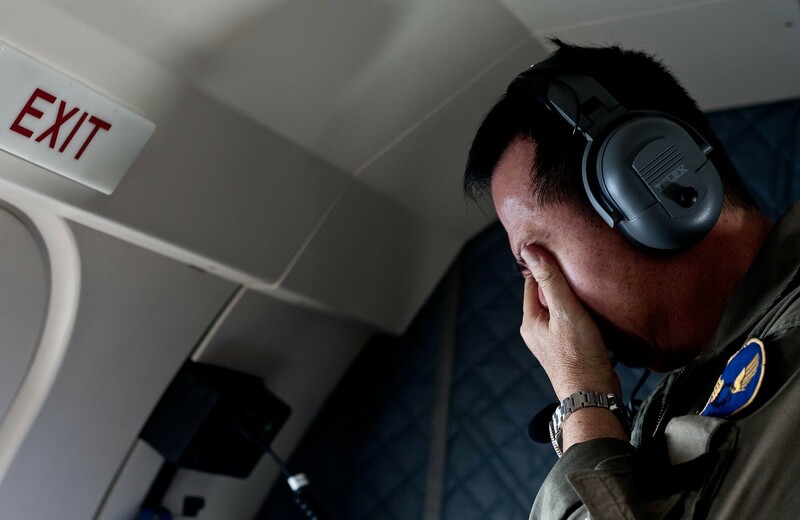 Crew member of an Indonesian Maritime Surveillance plane says a prayer before a search mission to look for AirAsia's Flight QZ8501 in Pangkal Pinang. 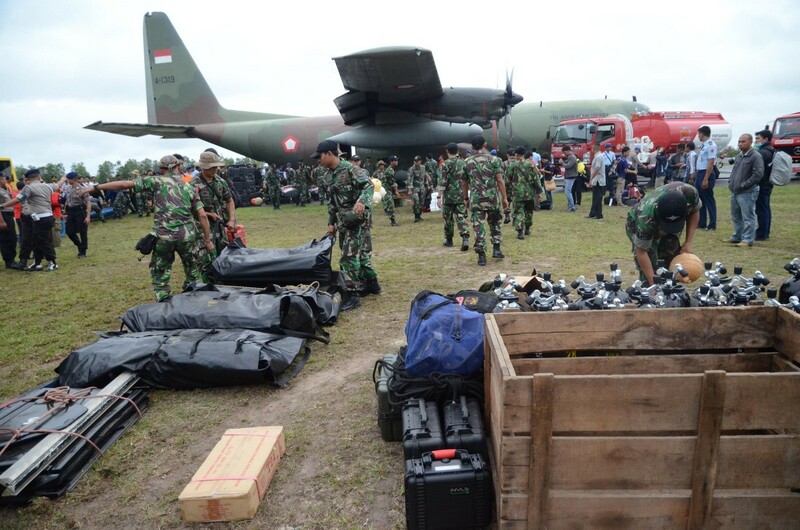 Members of the Indonesia marines unload their diving equipment as they arrive at Pangkalan Bun air base in Central Kalimantan. 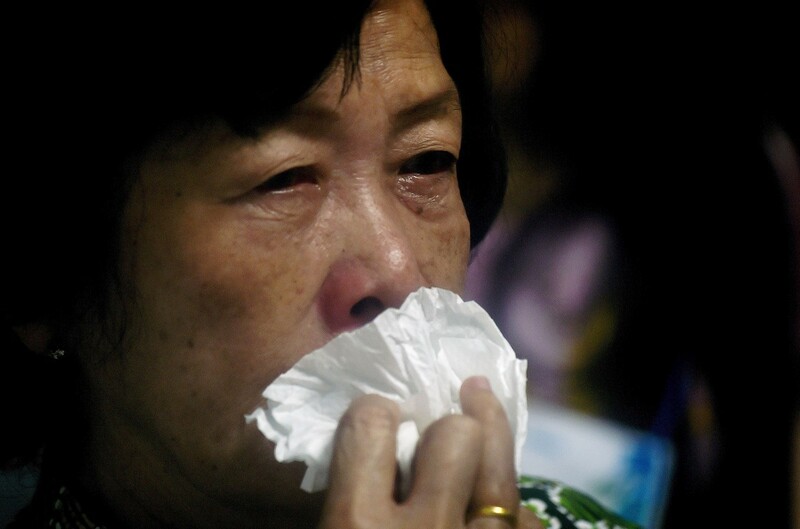 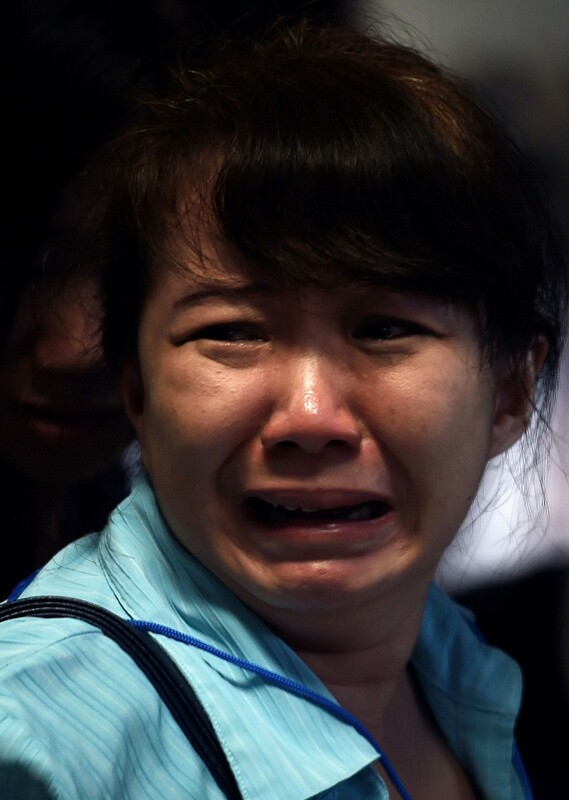 A family member of passengers onboard the missing Malaysian air carrier AirAsia flight QZ8501, reacts after seeing an unidentified floating dead body during a search and rescue mission. 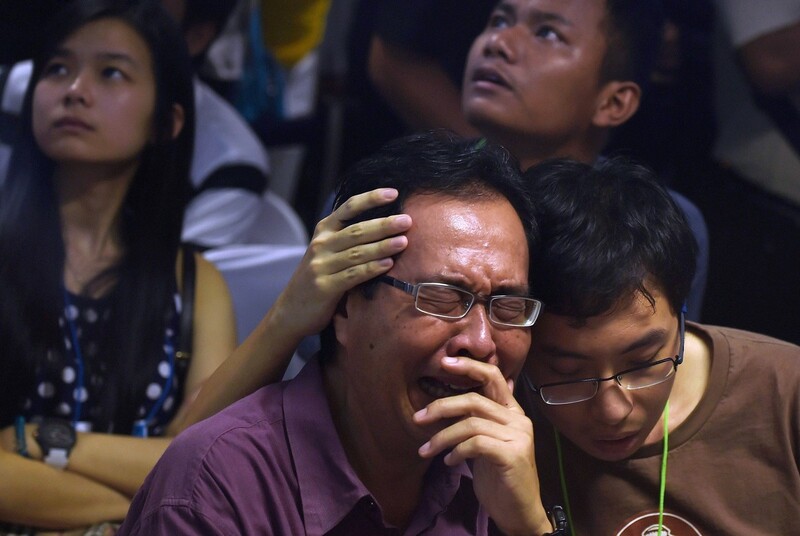 An Indonesian warship recovered more than 40 bodies from the sea Tuesday in the search for the AirAsia jet, a navy spokesman told AFP. 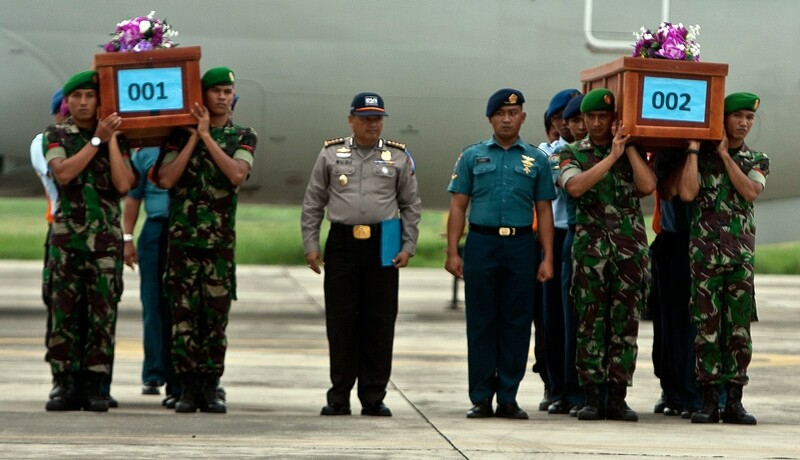 "Based on the navy radio, it has been reported that the warship Bung Tomo has retrieved 40 bodies and the number is growing. 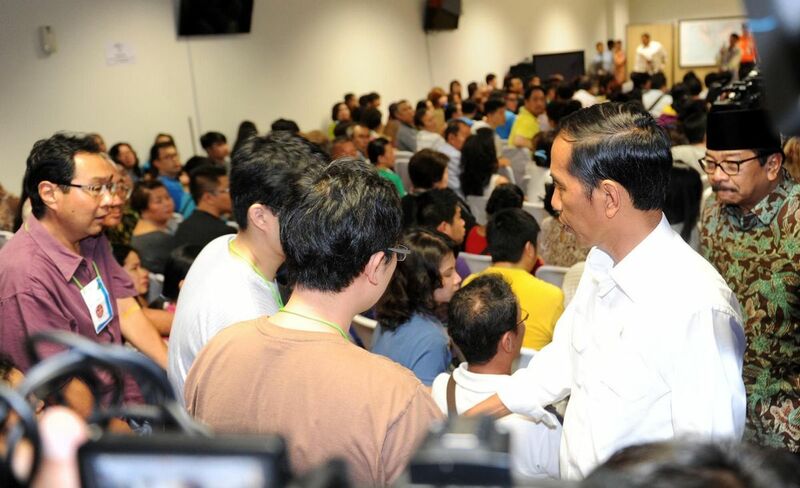 They are very busy now," Manahan Simorangkir said. 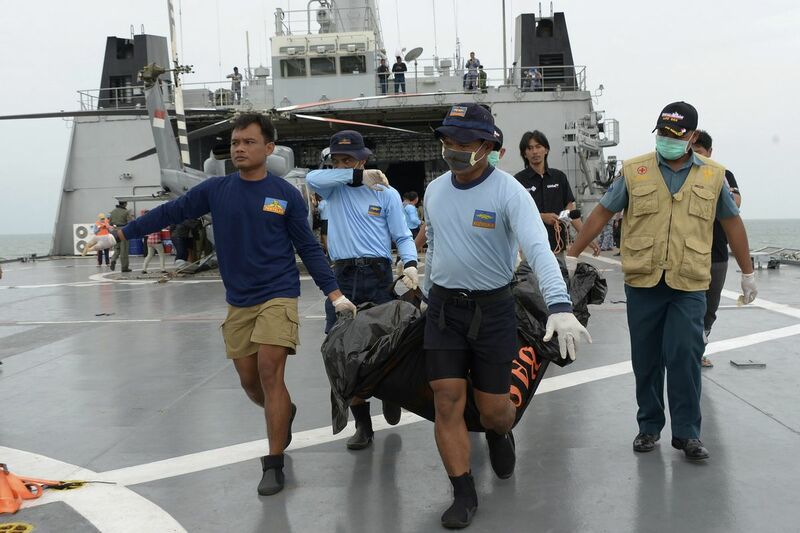 Earlier, Indonesia's media outlets reported that Indonesian warship KRI Bung Tomo has found six bodies, and retrieved three, citing local broadcaster TV One. 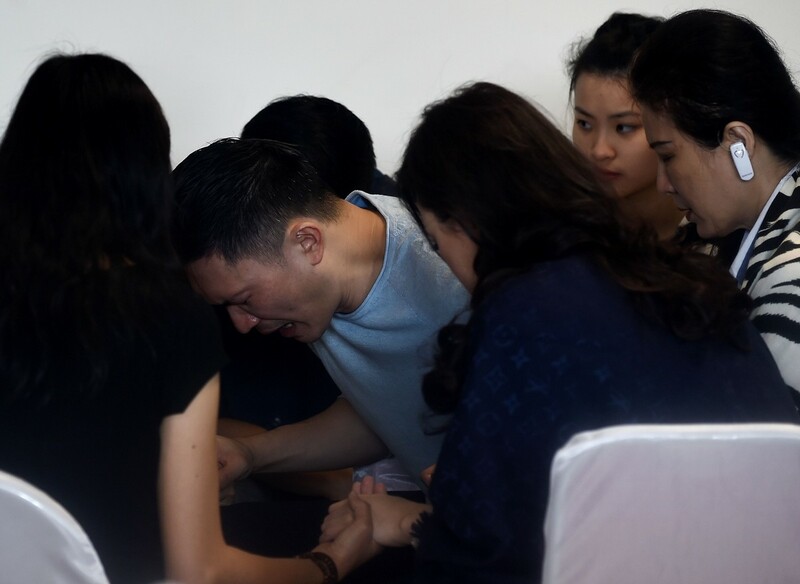 Relatives of the 162 people missing on the plane hugged each other and burst into tears in Surabaya, where the missing Indonesia AirAsia flight QZ8501 plane departed from, as they watched footage showing a body floating in the sea on a television feed of a press conference in Jakarta. 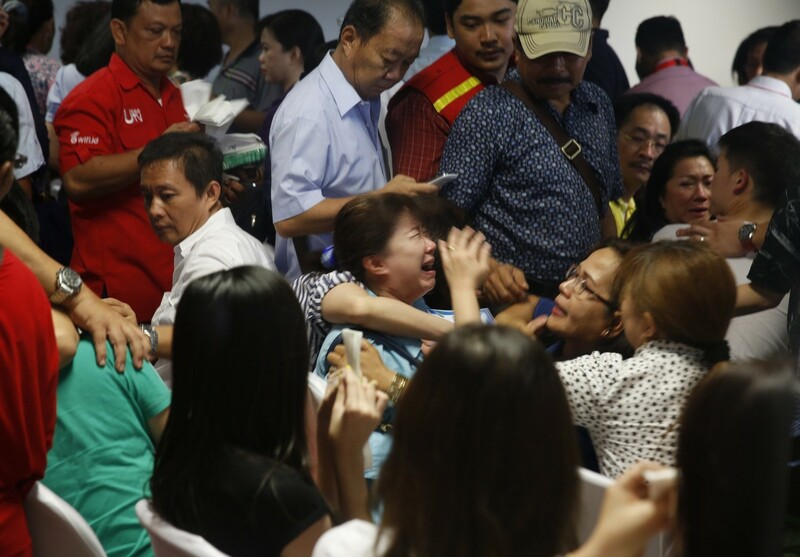 AirAsia Indonesia president director Sunu Widiyatmoko said the airline would ready a 180-seat Airbus 320 for families of the missing AirAsia passengers on Wednesday. 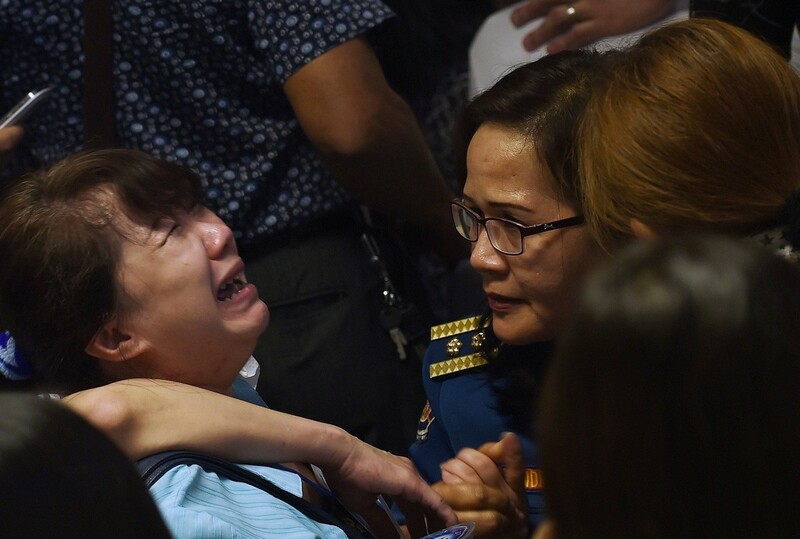 "This is aimed at keeping the families informed in detail about the joint search operation being conducted," he told journalists at the AirAsia Crisis Center at Terminal II of Juanda International Airport in Surabaya on Tuesday. 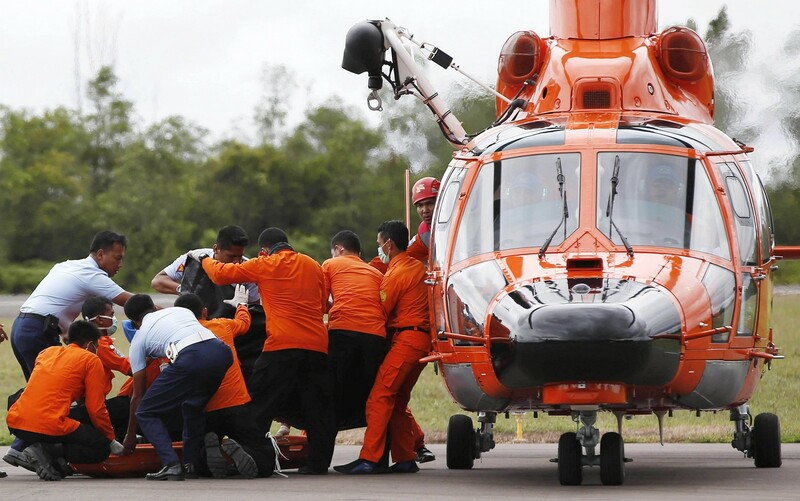 "The aircraft carrying the passengers' families will fly around the search location before returning to Surabaya," he said. 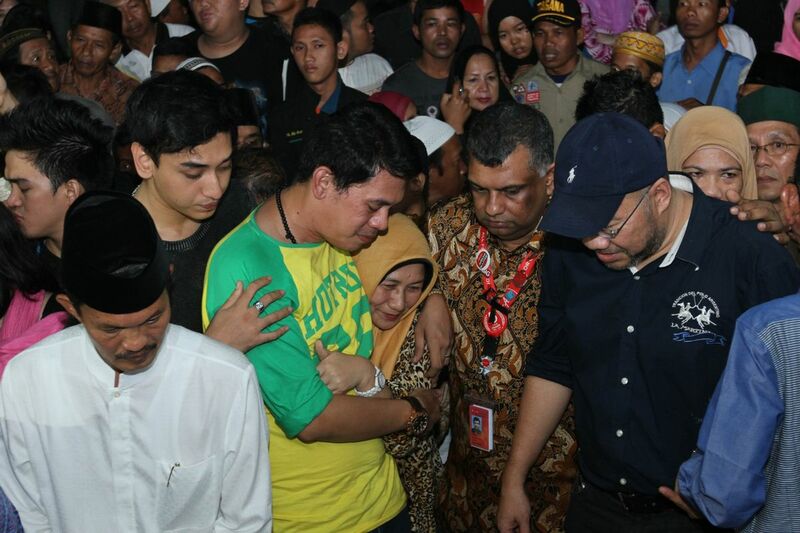 On Tuesday, the Transportation Ministry's acting director general of air transportation, Djoko Murjatmodjo, confirmed that wreckage discovered in Pangkalan Bun, Central Kalimantan, was from AirAsia flight QZ8501. 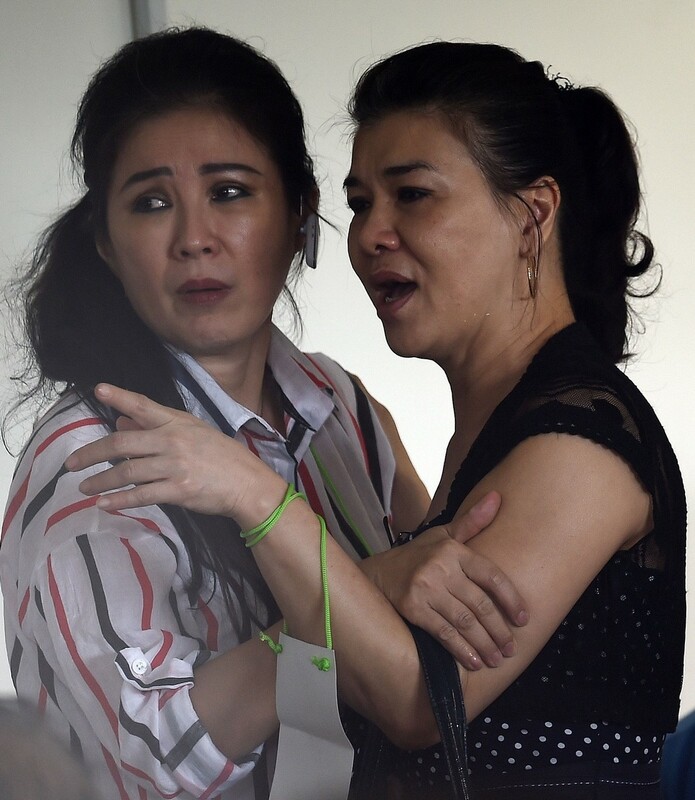 "It has been confirmed that it is debris from an aircraft bearing red and white colors," Djoko said, citing that the debris had been found by the ministry's rescue team. 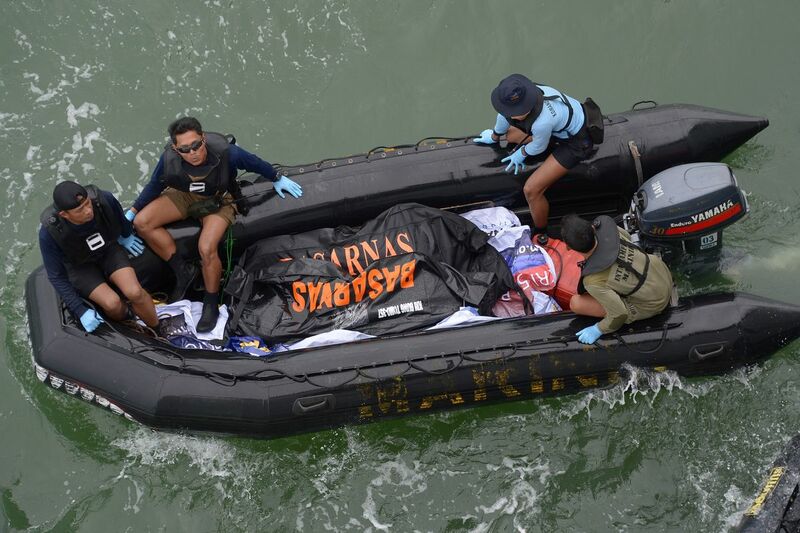 "The recovery process will now be centered on the debris location, in coordination with Basarnas [National Search and Rescue Agency]," he said. 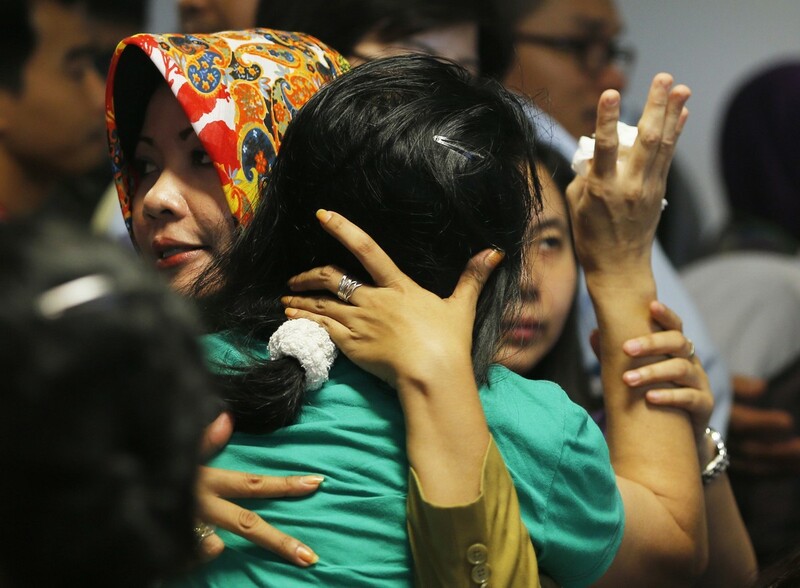 State airport operator PT Angkasa Pura (AP) I president director Tomi Sutomo said the flight transporting the AirAsia passengers' families would be coordinated with Basarnas. 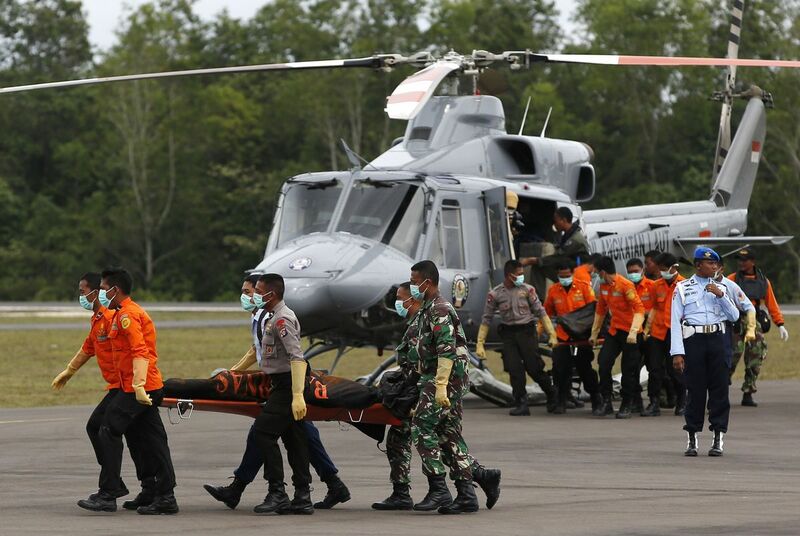 "We don't want to disrupt the ongoing search operation, so we will hand over the technical matters of the flight to Basarnas," said Tomi. 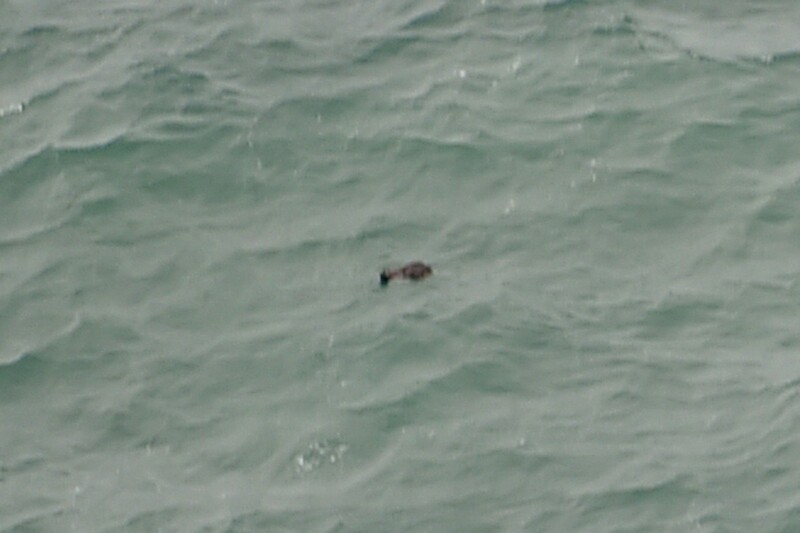 Tri and the team scoured the area at around 11 am. 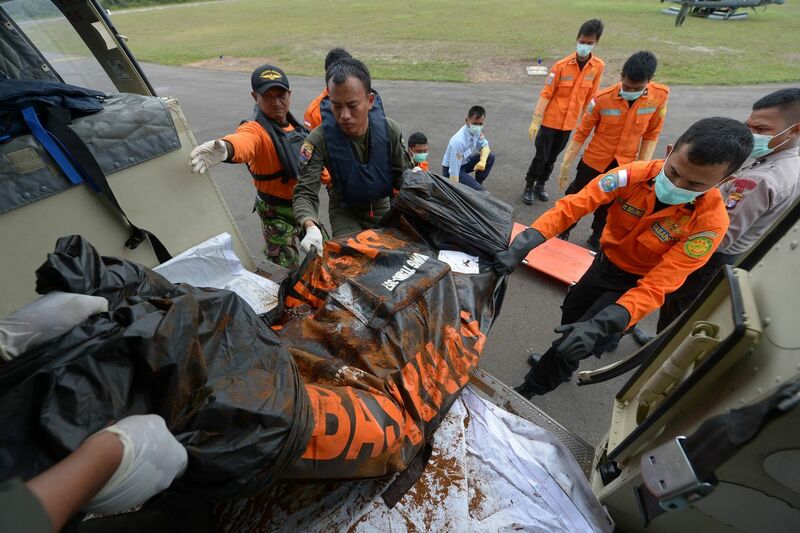 Basarnas reported that it had found 10 pieces of debris during its search for the ill-fated AirAsia Indonesia aircraft southwest of Pangkalan Bun in Central Kalimantan. 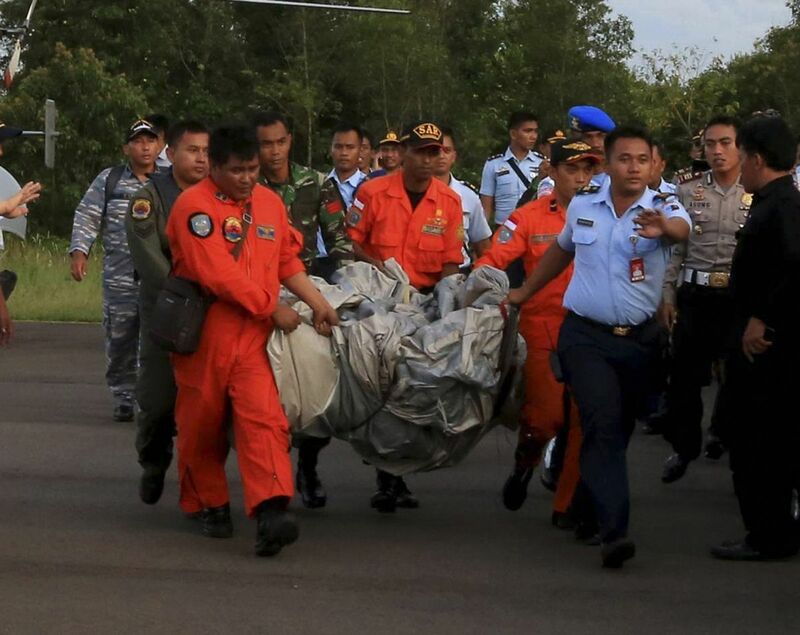 Basarnas spokesman M. Yusuf Latif said on Tuesday that a CN maritime patrol aircraft from the Indonesian Air Force first discovered the debris during a search on Tuesday morning. 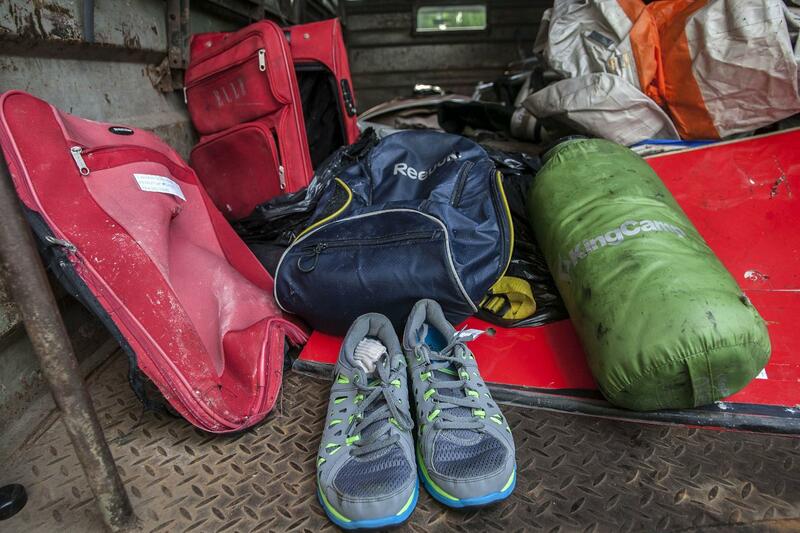 "We just searched [the location] until 11 am. 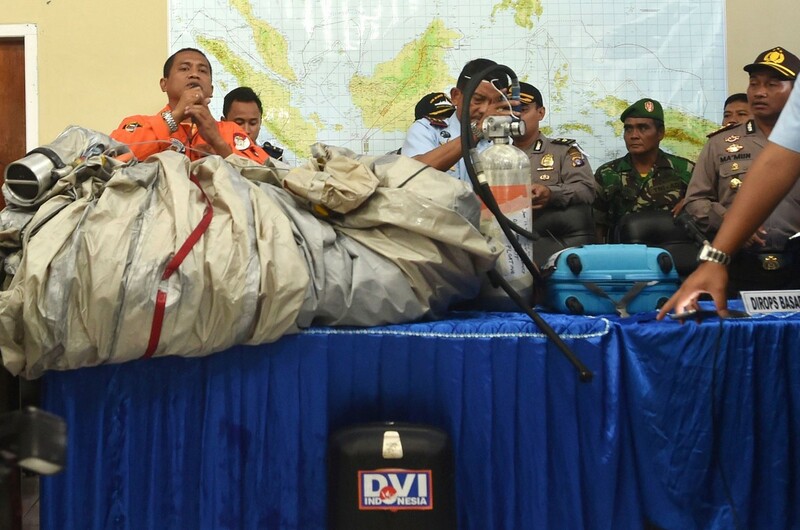 So, according to estimations, the debris was seen at 10:15 a.m.," he told reporters at the agency's headquarters in Kemayoran, Central Jakarta. 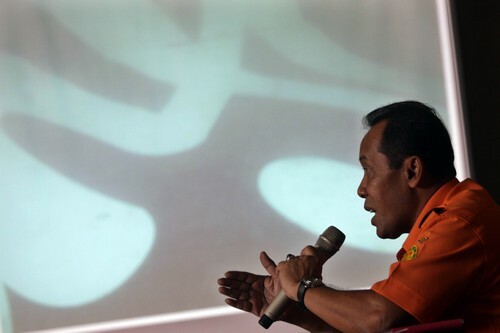 The location of the debris matched information from two fishermen in Pangkalan Bun who said that they heard a thud and saw explosions on Sunday morning, Yusuf said. 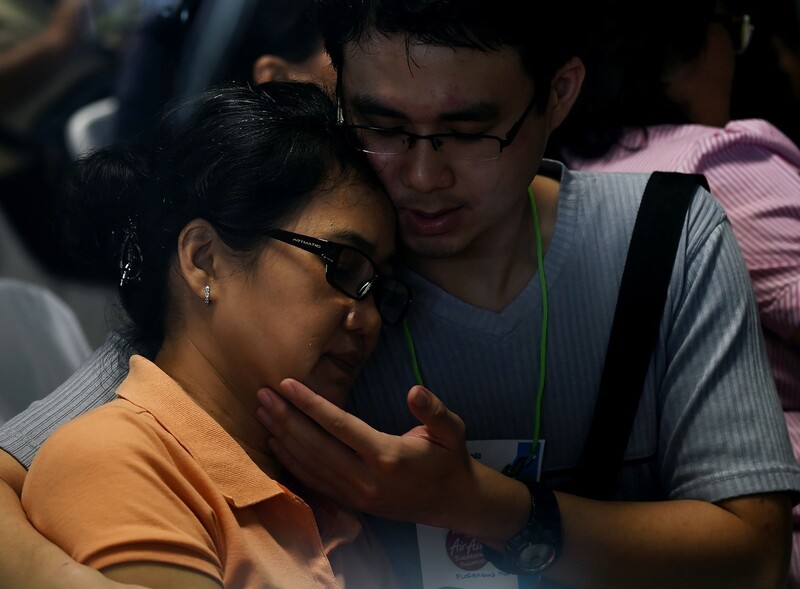 Family members of passengers onboard missing Malaysian air carrier AirAsia flight QZ8501 pray together while waiting for a briefing inside the crisis-centre set up at Juanda International Airport in Surabaya on Dec 30, 2014. 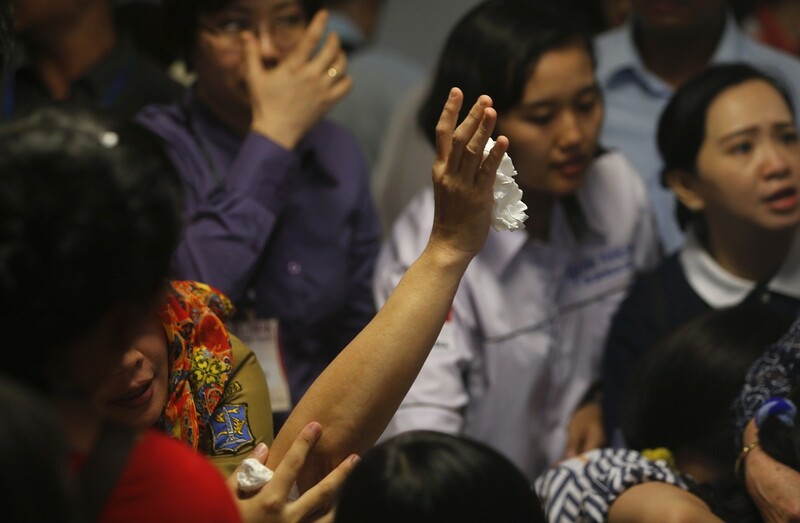 Indonesia's National Search and Rescue Agency chief said Tuesday that just three bodies had been recovered so far in the search for the AirAsia plane which crashed in the Java Sea, after another official said 40 had been found. 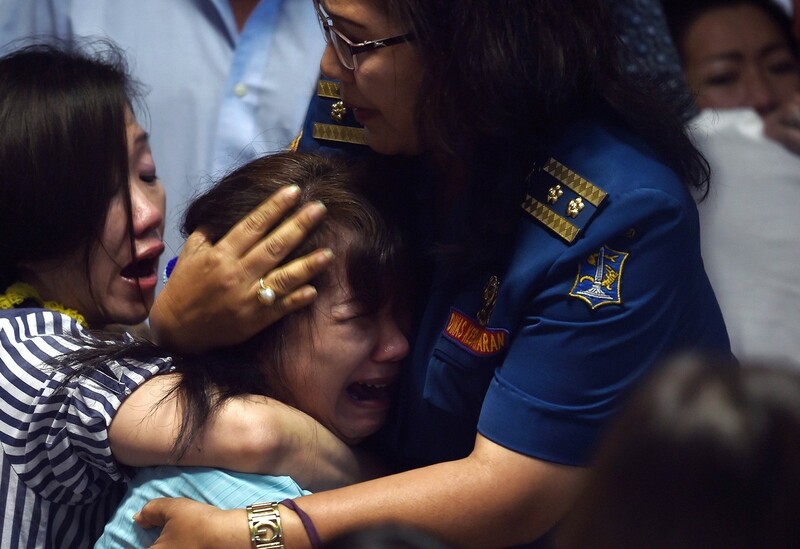 "Today we evacuated three bodies and they are now in the warship Bung Tomo," Bambang Soelistyo told a news conference in Jakarta, adding that they were two females and one male. 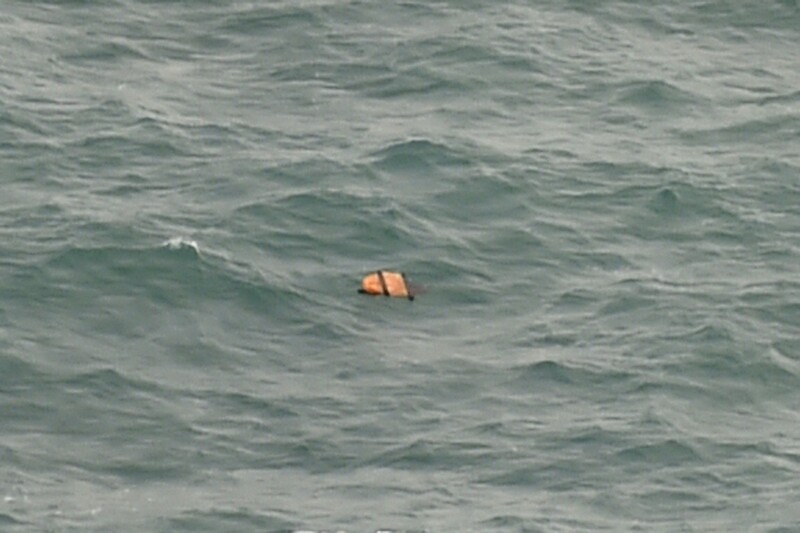 Some of the debris that was found by search and rescue aircraft. 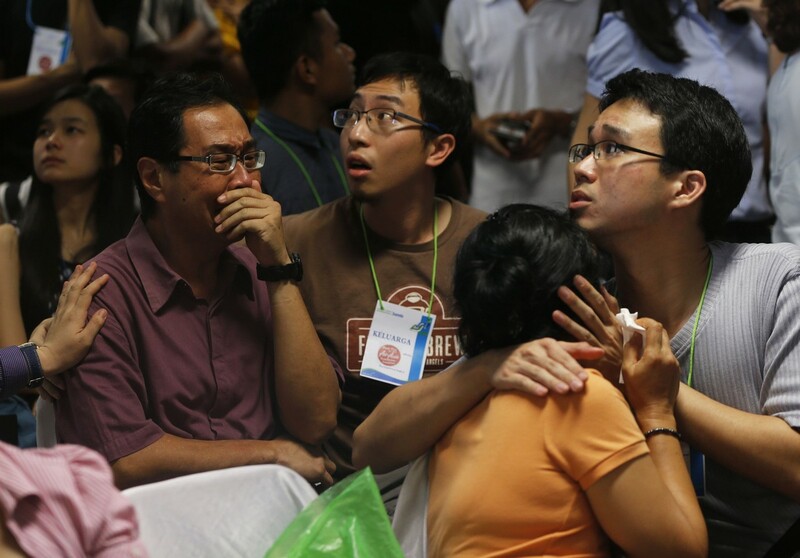 The Airbus A320-200 carrying 162 people crashed Sunday en route from Indonesia's second largest city Surabaya to Singapore, with wreckage recovered near its last known location. 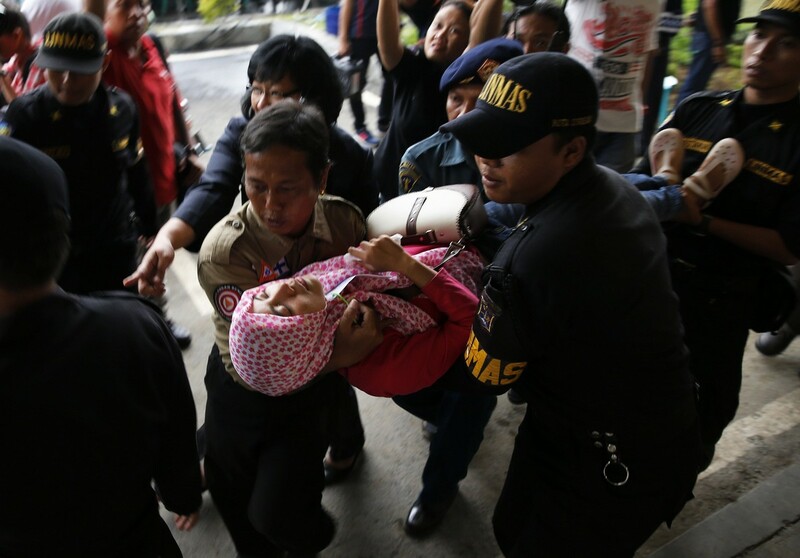 Government security officials carry of a family member of passengers onboard AirAsia flight QZ8501 after she collapsed at a waiting area in Juanda International Airport, Surabaya, Dec 30, 2014. 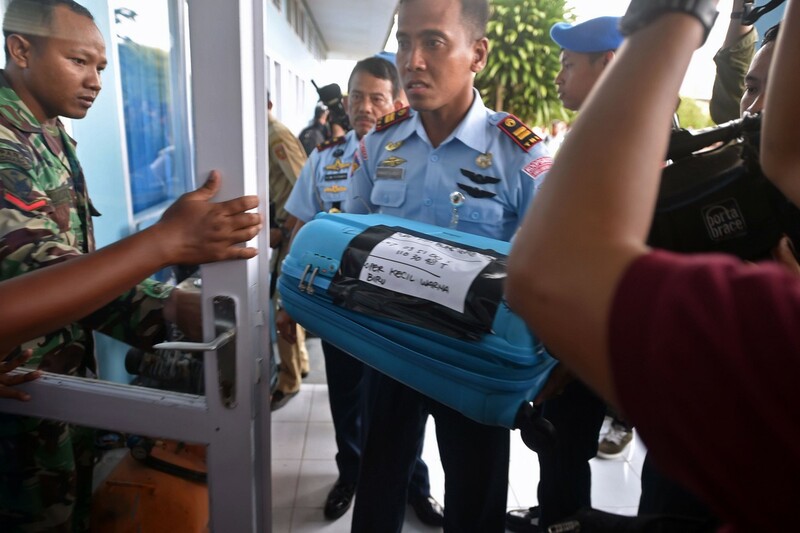 Members of the Indonesian air force show items retrieved from the Java sea during search and rescue operations for the missing AirAsia flight QZ8501. 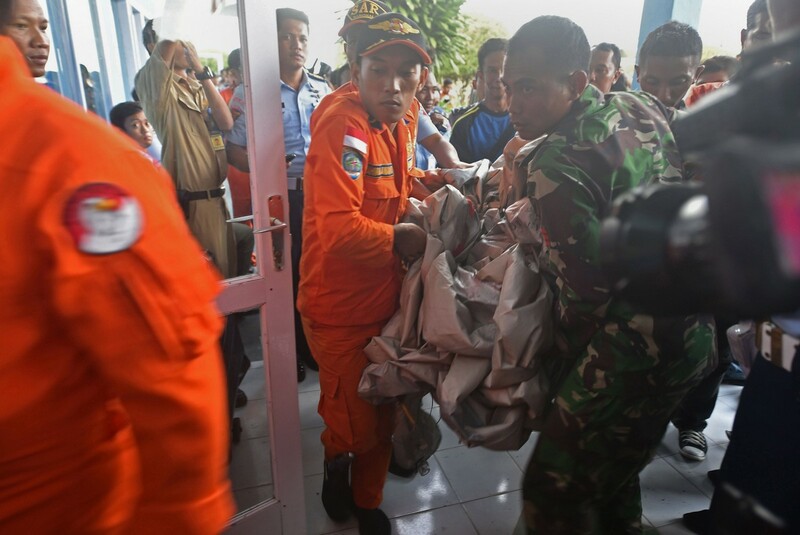 A member of the Indonesian air force carries an item retrieved from the Java sea during search and rescue operations for the missing AirAsia flight QZ8501. 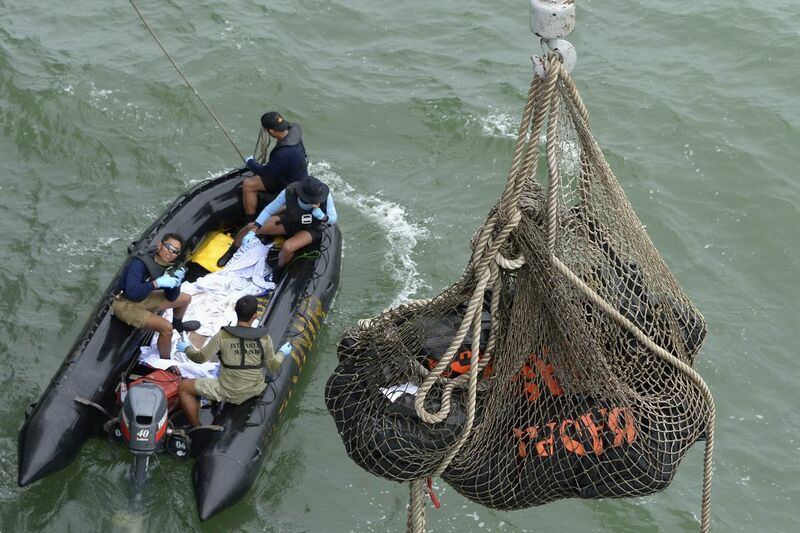 Members of the Indonesian air force carry items retrieved from the Java sea during search and rescue operations for the missing AirAsia flight QZ8501. 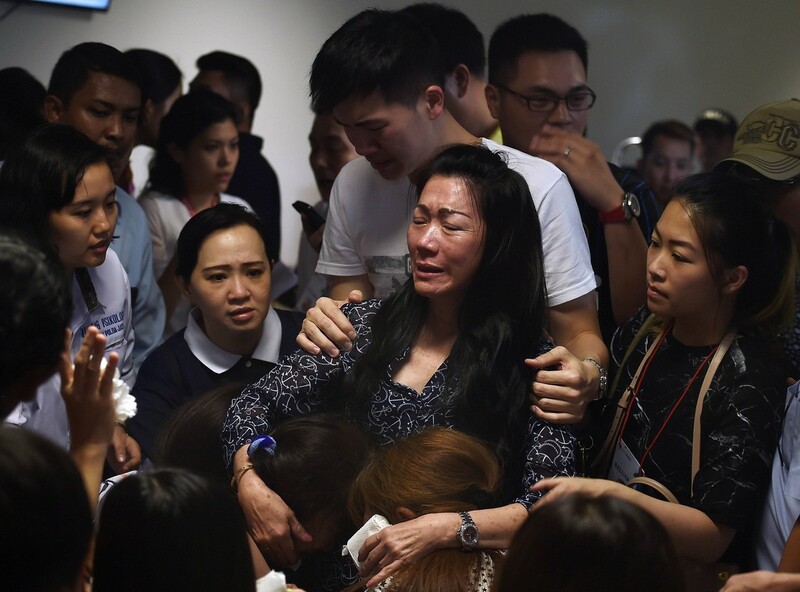 A family member of passengers onboard the missing Malaysian air carrier AirAsia flight QZ8501 receives medical assistance after watching news reports showing an unidentified body floating in the Java sea. 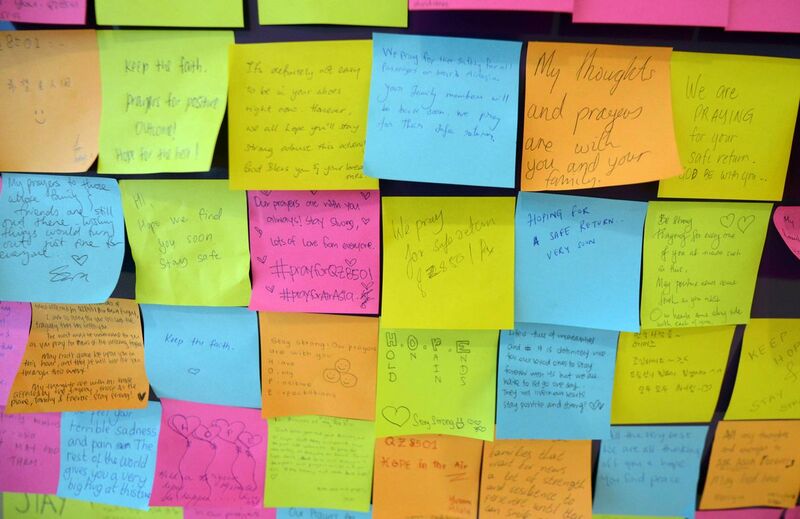 A message board has been set up at the Changi Airport for the public to express their thoughts to families and friends of the passengers aboard the ill-fated Indonesia AirAsia Flight QZ8501.